Snapchat did it first, but Instagram took it to a whole new level. We’re talking about Stories, of course—a feature that has caught on so feverishly that it didn’t take any time for Facebook to get it on all its platforms after looking at its success. The ephemeral 24-hour content format we now call ‘Stories’, made its foray into Instagram in 2016, but quickly spread to Facebook and WhatsApp (via Status) as well. Today, we’re going to learn specifically about Instagram Stories—and trust me, there’s a lot to unpack. Not only are Stories getting brands and individuals to post content more frequently (effectively ridding the ‘posting-too-often’ issue seen earlier in Posts), they’re also eliminating the need to have ultra-polished content. All this while contributing to an impressive 1/3rd of all Direct Message conversations brands are receiving. And, if that number doesn’t make a lot of sense, this will—half of the 1 billion active Instagrammers are now using the feature. That’s right, Stories have officially hit the half-a-billion user milestone. So as the legend goes, more businesses are sitting up and taking note of this. From being able to post more ‘unbranded’ brand content, to being able to turn those into interactions with potential customers—there’s a lot on for brands to utilize for their marketing. It also comes as a crucial point that nearly 20% of branded Stories, on average, create this audience interaction. This is an impressive number by any scale. When you take these metrics and combine it with the fact that Instagram has shopping-friendly features like the ‘Swipe Up’ CTA buttons, and polls to help brands understand customer-preference, the opportunities look vast. So without further ado, let’s look at how we can use this prime social media real-estate to run branded ad campaigns. Before we get into the step-by-step process of setting up a Story ad, let’s look at some of the broad features it packs. There are several benefits to running an ad on your Stories section, we’ll highlight the most important ones for you. 1 in 5 stories get DMs on average – this is one of the biggest reasons to position your ad for the Stories section. It also helps that there’s less scrolling involved (unlike timeline ads), so the chances of a brand recall is higher as well. Since the platform, has announced the vertical-screen approach it’s taking towards content, and also launched Instagram TV to this end, it’s safe to say that vertical-screen ads (Story ads) too are the way forward on Instagram. Story Ads look great on smartphones. Unlike other networks, Instagram has always been mobile-first and it makes sense to advertise in a format that’s tailored to the targeted user, which in this case is a smartphone-user. Besides the final Swipe-up CTA, no text that you add on the content field is clickable. Space is also a real constraint, so unless you’re certain that your audience will click on ‘more’ to read all the text on your ad, so always ensure you have crisp ad copies. Carousel photos or video ads suffer the same risk as they do on the timeline – Instagrammers mostly swipe through it. So the challenge lies in ensuring that the longer ads are engaging enough for them to get optimal retention. Image ads may seem a little static to seem too exciting, but there’s a lot you can do to jazz it up. You can always build the add within the Story upload feature (camera button on the top right of your home screen) and add all your favorite add-on elements – stickers, polls, location, doodles, etc. This can then be saved and launched separately as a campaign – this way your ad content can blend in excellently with other posts, carrying the look and feel of an organic post, even if it carries the “sponsored” tag. This has a higher chance of doing well here in Stories, since Instagrammers always have their volumes up, thanks to the copious video content going around. The network is also seeing increased visibility of video-content, so the time is ripe for promoting video ads, using this space. Naturally, both these formats have their own little specifications and guidelines. But we didn’t want you to sweat the small stuff, so here’s a chart for your quick and easy reference anytime you’re creating ad content, or just any branded Story content for your business on Instagram. Now that we’re done looking around and scrutinizing the merits of running Instagram Story ads, it’s time to run through the process. Follow these simple steps and you’ll be able to run the ad without any additional tools or aid. By now, we already know that in order to run an ad on Instagram, you will need a Facebook Page for your business, since all advertisements for both platforms are routed through a single portal, the Facebook Ad Manager. What is your ad trying to achieve? More engagement for your profile, or perhaps app downloads? Be clear on the specific objective of an ad, as this is the first step while inside the FB Ad Manager. You can choose from one of many options and your ad will be optimized accordingly. The available campaign objective options are – Brand awareness, Reach, Traffic, Engagement, App Installs, Video views, Lead generation, DMs, Conversions, Catalog sales, Store traffic. If you’re trying to get more people to visit your website or know about your brand, you can choose objectives like Brand awareness or Traffic. You can also set-up ad campaigns with advanced requirements like driving App Installs. Look at this Instagram Story Ad by furniture brand Pepper Fry that’s intentioned to get more people to download their smartphone app. By simply swiping up on this ad (left), you are immediately taken to App Store/Google Play shortcut to install the app. Similarly, e-commerce businesses who might want to lead customers to their shops or a check-out page, can use options like Catalog sales or Store traffic. Once this is done, you can enter a Campaign name and continue. Note: You will also be provided with additional FB automated options like – optimizing budget sets. In this step, you’ll be asked to fill in the requisite fields depending on the type of campaign you have chosen. For instance, if you’ve chosen Traffic driving as your ad objective, these are the fields you will have to fill. In the next step, you can choose to target your ad campaign to specific people that are relevant for the campaign, and your business at large. You can set your own target audience using two tools that Facebook Ad Manager provides – Custom audience who have already engaged with your brand’s ads before and Lookalike audience who are audiences that may be interested in a specific brand. This feature also lets you set specific countries and gives you an estimate of how many people this will let you reach. You can also use the Exclude audience option based on the same two above fields. You can also add other demographic features like – audience location, language, age-group, and interests. There are two ways to go about this. You could sit back and let Facebook automation do its thing, with ‘automatic placements’ that are decided by the network’s algorithm. Or you could specify the ad placements yourself – we recommend this option. While it’s easier to let FB do all the work, only you know the nitty-gritty of what’s working for your brand, and can take a more granular approach to your ad-spending. This is how it looks. Facebook Ad Manager lets you know clearly, how much projected expenditure your ad will incur. You can see it all play out in the Budget & Schedule section that comes up next. Here you can set daily budgets, to establish a price ceiling for your ad. Here you can upload the ad creative for your campaign directly from your device, or even use a stock image to layer your text and CTA over. Facebook also provides a free stock library of copyright free images for this specific purpose. Note – If you’re going for a Story ad, ensure that the creative that you are uploading is adhering the image/video guidelines mentioned in the chart above (see the previous section). From this screen, you will also be able to do a lot more like adding interactive Story Polls, background colors, website URLs etc. You can also track the metrics easily by setting-up Facebook pixels, as all activity on the ad that you post will be tracked by Facebook. The final step before getting your Story ad live is to review the campaign. This will give you a snapshot of all the important metrics going into your ad’s content, targeting and spend. Once you’ve okayed all the selection, click Confirm to run your campaign. 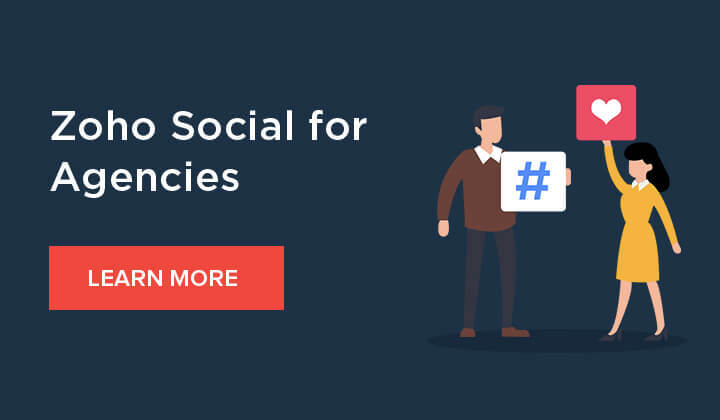 That’s it – you’ve just figured out how to run an ad campaign from scratch while tackling the complex web of the Facebook Ads Manager platform with ease, and doing this while leveraging your Instagram Stories to accelerate your business. That’s multiple birds in one stone, however we look at it.